Is there some fog or sandstorm setting I don't know about? Can someone please tell me? When there is heavy fog and sandstorm, I can't spot players or vehicles in fog even though I am actually close enough to see their outline. I assume this is because the fog/sandstorm have the same effect as smoke in that regard. Also, when enemy players are a bit further away, I can't see them at all. Not any outline, no shadow no nothing. But frequently I find myself getting shot by enemy players inside the fog that is not visible, nor can be spotted. Which makes it reasonable to think that they can't spot me in the fog either, but apparently they can see me clear as day. So, I am wondering, is there a setting people use that make the fog less thick or something? I genuinely don't get it. It's not because I just don't see enemy clearly far away in the fog, there is literally no visual indication of enemies at those distances. Nah it is just a terrible game mechanic that only effects your team sometimes. Yea. Fog/Sandstorm has multiple problems. There is simply a consistency of spotting problem - sometimes you can't spot people from 10 feet away, other times you can spot people from 100 feet away. Another major problem is sandstorm/fog inconsistency across players - for instance - i played a whole game in a sandstorm in which nobody else had a sandstorm on their screen - glitches like these are obviously another major problem that many players wouldn't even realize - i certainly wouldn't have (because of how inconsistent the spotting mechanic is) unless my squad pointed it out. yep fog is horrible. Many reasons stated many times elsewhere. IN a nutshell, it makes the game less dynamic. What fog does as far as spotting goes though is you can't spot guys in fog unless they are super close. So someone could have spotted you from up close and then a sniper from 100+m away could see the red dorito above your head and shoot you through the fog. Bugs and glitches and not having the same fog pattern on your screen compared to enemy's screen adds to the mess. I heard about that years ago actually, in my naivete, I thought that since this was such an old issue, that surely they must've fixed that bug ages ago. I didn't even consider that it wouldn't be fixed even though years have gone by. I have to admit I've done the same. It's just a fun killer and I would not be sad if they were removed from the game. Rain is fine. Some dust kicking up is fine but full on fog and sandstorms are just boring to play. I guess I'm one of the few who love the fog and sandstorms. 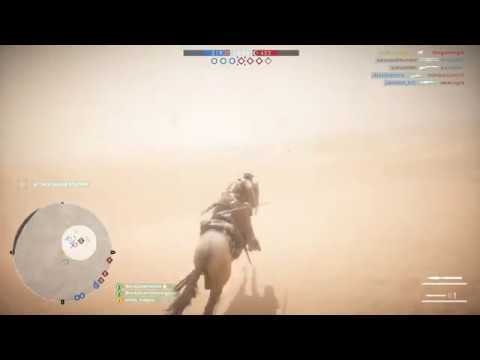 Whenever the sandstorm would blow in on Gulf Of Oman in BF4 I loved it, and the fact that it was only a portion of the match was better because it varied the gameplay and helped reduce the helicopter murder. Yep, never fixed. That game was recorded back in July. I don't mind a bit of weather but just played a game on Amiens and the fog was so thick I could hardly see my circle when picking my spawn point. Visibility was about 3 metres and the match really slowed. I’d like the weather, if it was the same for all players. What i noticed is that with scopes you can See way better with Scopes. Something that is totally rubbish. I agree about the fog. It is ridiculous. Every battle ever fought through history has not come with blinding fog, but every game of BF1 that I play most certainly will. And there are levels of fog. Not all fogs are giant grey pools of blindness. It would be nice sometimes to have a light misty morning fog or patchy fog. I ramble. Fog bad. This will really chap your backside, fog, sandstorms and rain are client based, so you could be in fog and the person shooting at you from across the map coild have clear skies. Do you think the bug mentioned by Miles_Vappa mentioned will ever be fixed? Since its been there since release and how dice have seemingly ignored the topic its safe to say no it wont be fixed,i would even go asfar as saying dice cant fix it or it would have been fixed long ago. I hate fog/sand almost more than anything else in this game. It just makes the gameplay terrible. I've kind of gotten used to being able to see when I play games. Noob tactic I know. The worst part is that it seems to happen every single game. Last night we had a game where it started at the beginning and lasted 16 minutes in conquest. Add to that, that there is a glitch where sometimes only you have the effects and you have yourself a perfect game mechanic. I did hear that there is a strange bug that courses the fog to disappear and be replaced by sunlight, bizarre.